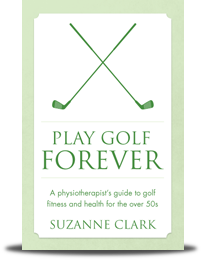 Fitter Forever helps active people stay active as they get older, particularly the over 50s. There are many misconceptions amongst the over 50s that there is little you can do to affect your strength and fitness once you pass a certain age. This is not the case, there is so much that you can do to keep yourself fitter, healthier and effectively younger whatever your age. 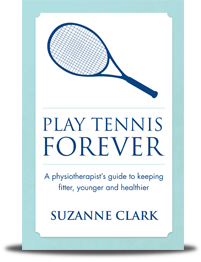 Physiotherapist and Fitness Forever founder Suzanne Clark has written Play Tennis Forever and Play Golf Forever as practical guides to slowing down the gradual decline in your body as you get older. The principles she has identified are the same for most sports and active recreational activity, and even just keeping fit for everyday life. Knowing the right things to do before, during, and after your activity will keep you fitter and younger, enabling you to carry on playing through your 50s, 60s, 70s and beyond. At Fitter Forever we believe in empowering you to take control of your fitness and health by teaching you how your body works to play your sport, understanding what’s important to keep you fit enough, and how to avoid common injuries. We have devised ways that you can do the right kind of exercises, building up the right parts of your muscles, as either part of your daily activities or even while watching TV. No special visits to the gym, no expensive equipment and no lycra outfits needed! Copyright © 2014 Fitter Forever. All rights reserved.